For our first exhibition at 14 Florence Street, Handel Street Projects is pleased to present a series of new paintings by Berlin based artist Stefan Sehler. 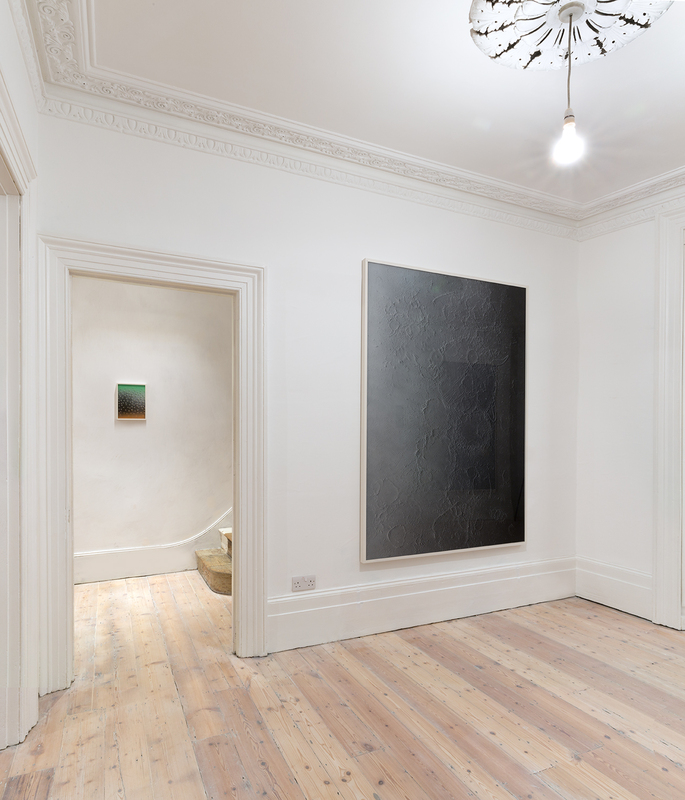 Made specially for this show, these works continue into the exploration of what constitutes painting, the relationship between abstraction and representation, challenging and stretching the possibilities of this medium all the time. 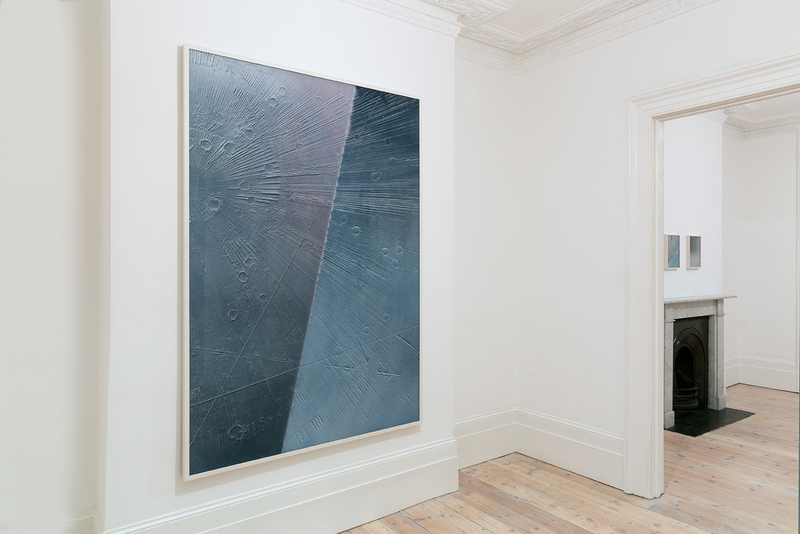 On this occasion the paintings are abstract, almost monochrome, reminiscent of old black and white photographs of the jagged moon surface from NASA’s archives. The central point of this work revolves around the surface, reality and illusion. Stefan Sehler paints on the back of the Perspex so that the otherwise textured surface is hidden, refusing the painting this constitutive feature and depriving the viewer of the tentative eye. The painterly surface seems neither behind nor at the Perspex but rather suspended within it. They possess a double objective: they mimic the photograph and on the other level we see the landscape surfaces where paint is purely autonomous, playing with our visual perception and preconceptions about the painting itself. As Donald Kuspit said about Stefan’s work: ‘These captivating paintings demonstrate that modernist painting is not necessarily dead -it still has some tricks up its sleeve – and show that a quasi – photorealistic picture can have a message every bit as striking as the dazzling technique it employs’.